Craig Padilla does not suffer when compared to his monumental predecessors. Distinguishing himself in the American musical order that birthed Steve Roach, Jonn Serrie and Paul Ellis, Padilla offers his own distinctive voice to the field. On Below the Mountain (73'58") he takes an outside-in approach. This CD captures the color and drama of Mt. Shasta and beautifully evokes the grandeur of the entire planet. 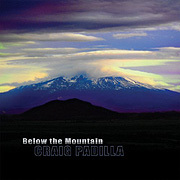 Below the Mountain covers a distinctive sonic terrain on each of its seven tracks. From introspective stillness to a palpable sense of propulsion, each piece creates a unique energy. 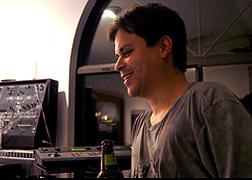 Padilla excels in the generation of engaging arpeggio patterns and the album runs through a fascinating range of polymorphous sequencer motifs. Strong melodies entwine and rise above loping patterns and whirling synthesizer effects. Rhapsodic lead lines flow through electronic bleeps as the emphasis moves to the lyrical. In a prolific career Padilla is rarely repetitive. With this work he embraces a worldly landscape, and turns in into an internal expanse.